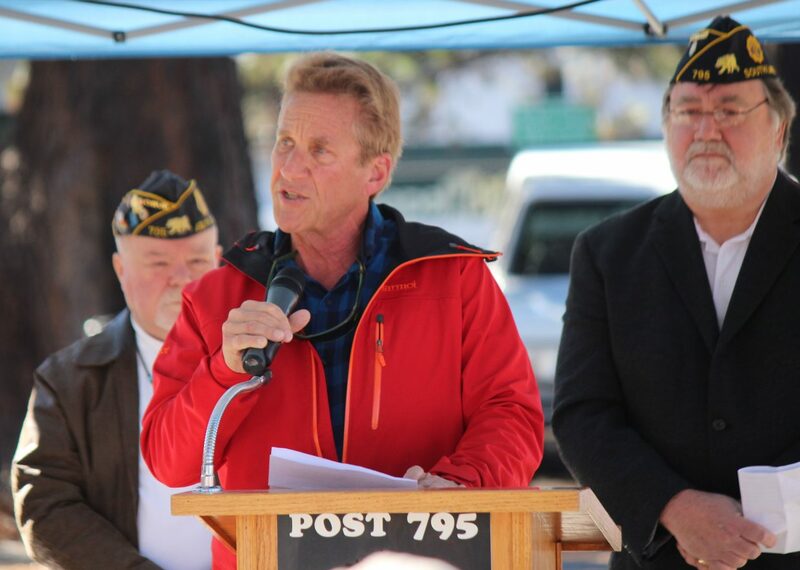 South Lake Tahoe Mayor Austin Sass speaks during a ceremony at the American Legion. 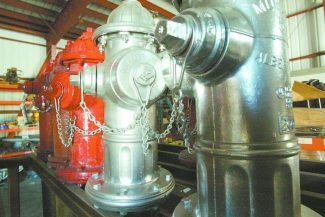 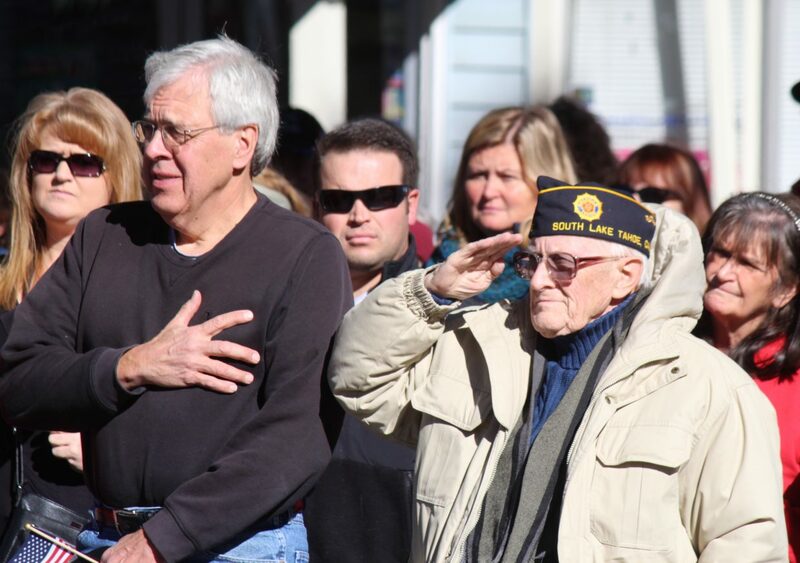 John Perry (right) stands at attention Saturday, Nov. 11. Perry is a WWII and Korean War veteran. 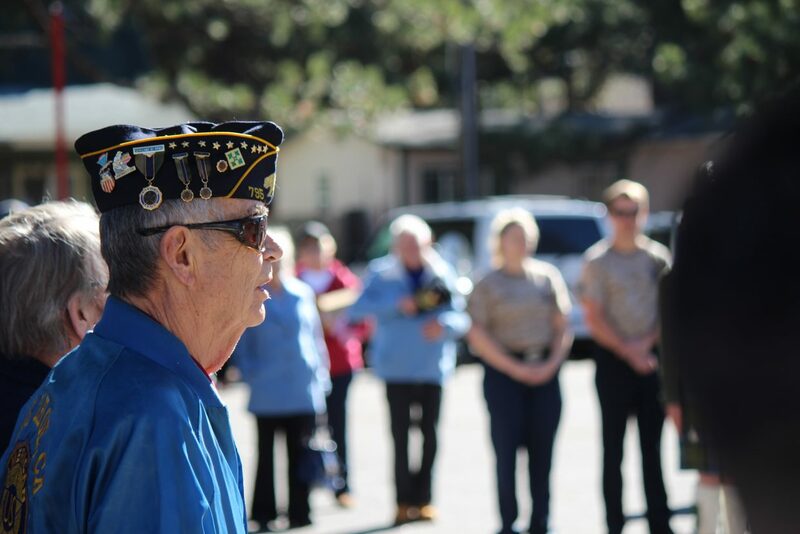 Veterans and members of the public pack the parking lot of American Legion Post 795. 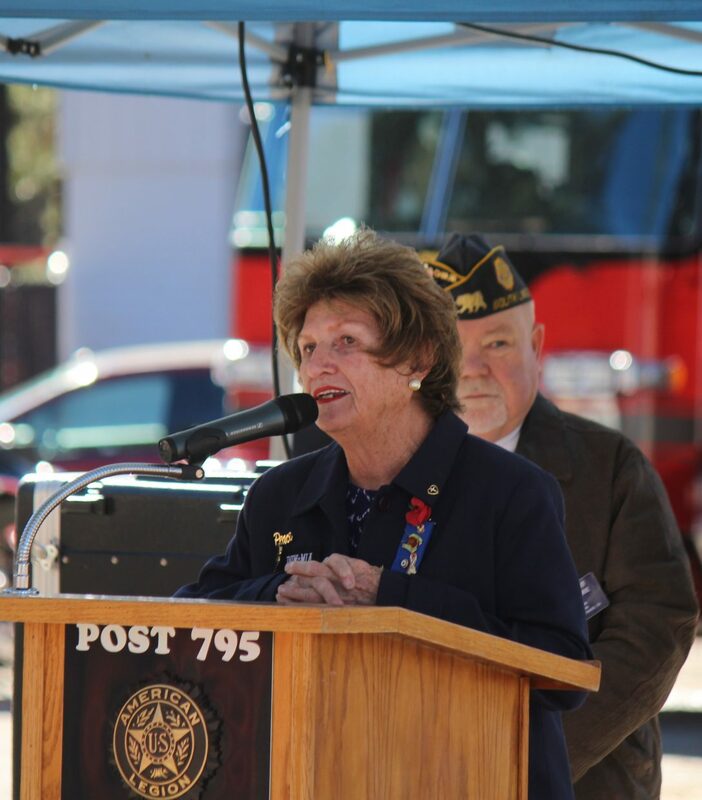 Carol Olivas of the American Legion Auxiliary Post 795 speaks Saturday. 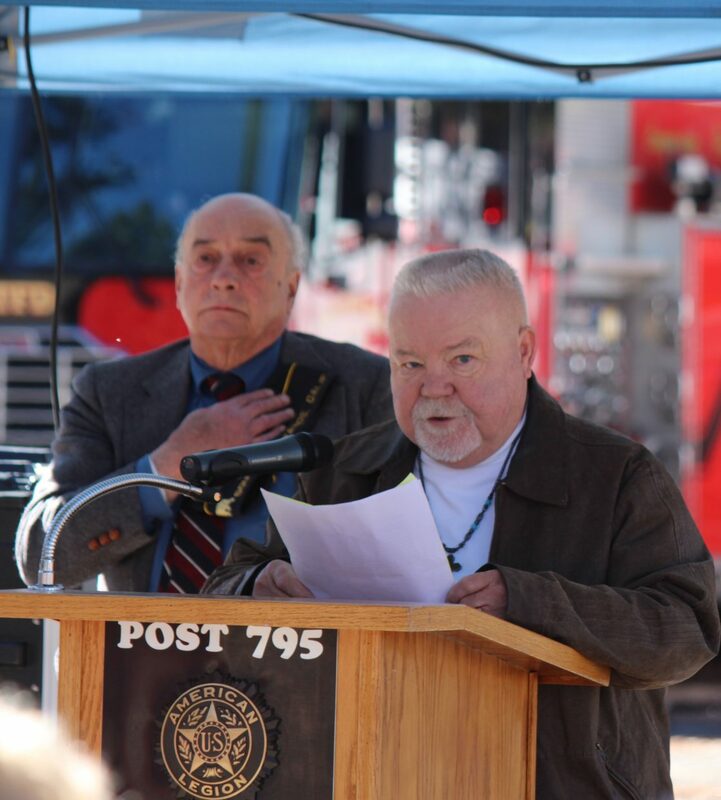 American Legion Post 795 Chaplain Curt Emrie speaks during a ceremony Saturday, Nov. 11. 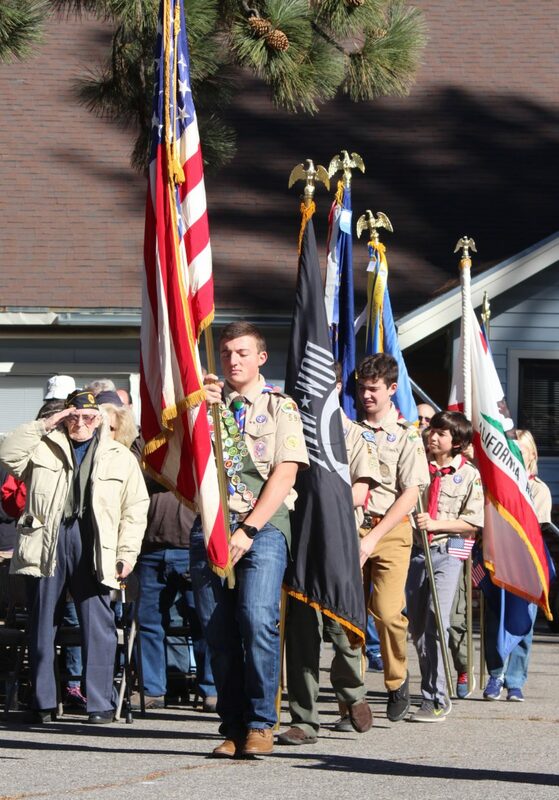 There was no shortage of flags during a Veterans Day ceremony Saturday. 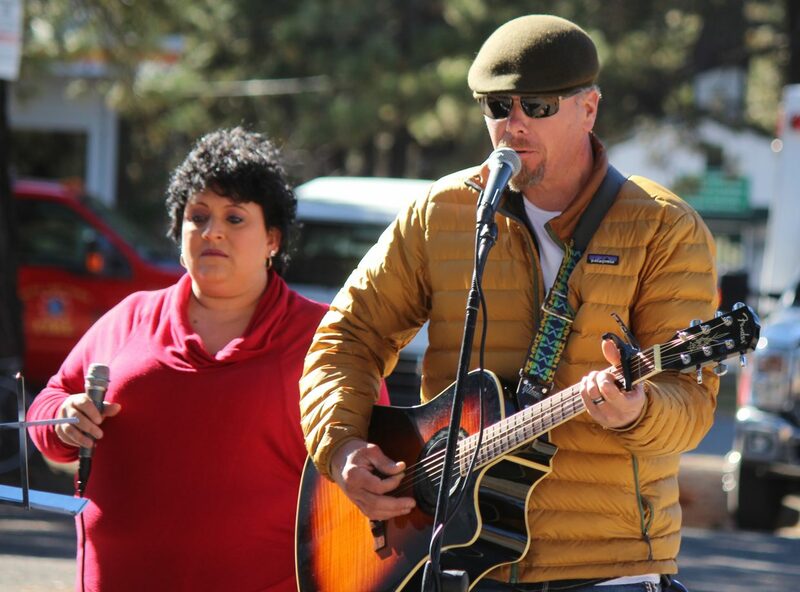 Jill Sharlow-Miller (left) and Davin Kangas perform Saturday. 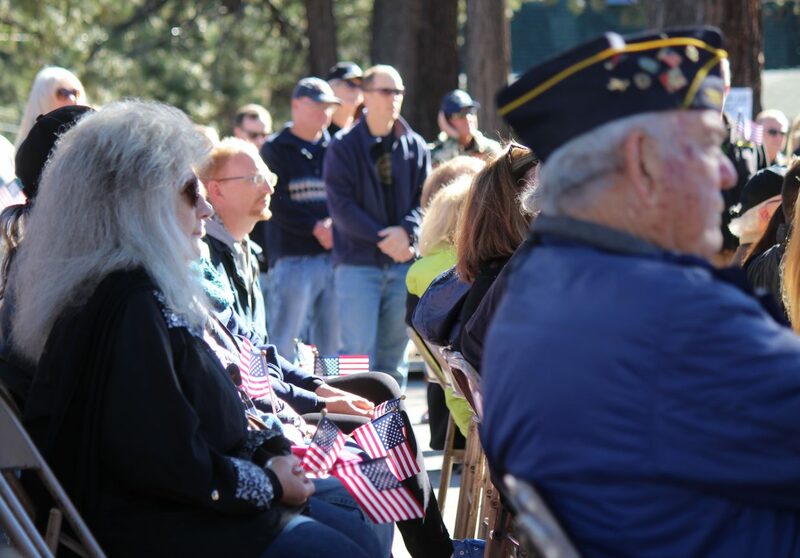 Plenty of people turned out for a Veterans Day ceremony Saturday. 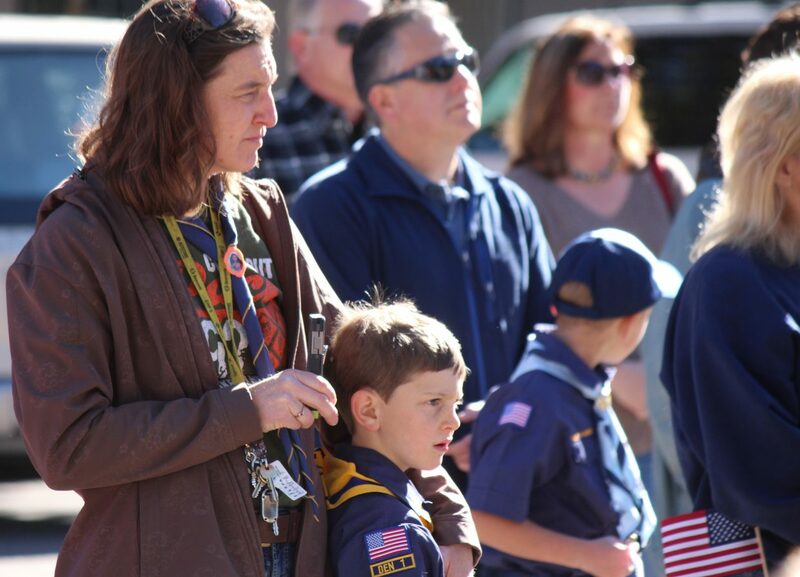 Members of South Lake Tahoe Boy Scout Troop 594 present the colors. 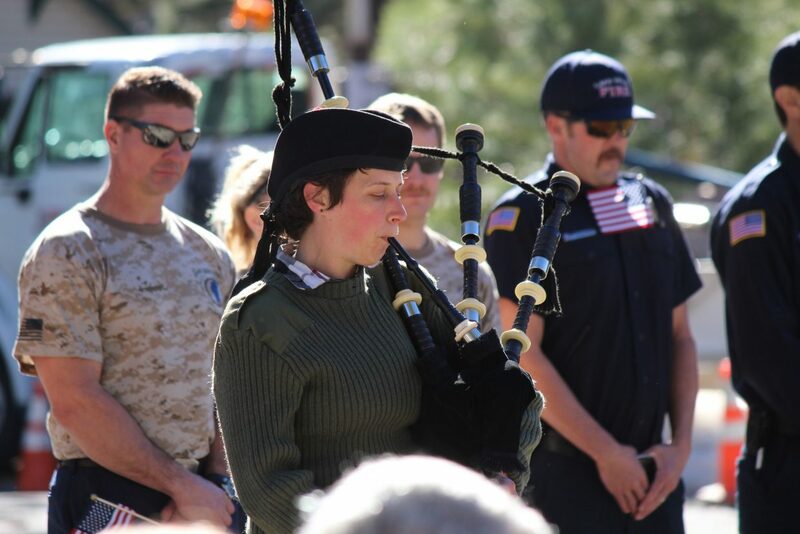 American Legion Post 795 and the American Legion Ladies Auxiliary hosted the annual Veterans Day ceremony Saturday, Nov. 11, in South Lake Tahoe.